The arrival of a new recording featuring an extremely rare appearance by legendary trumpeter Bill Dixon is reason enough for celebration. When said album also features cornetist Rob Mazurek's Exploding Star Orchestra, the rewards are twofold. 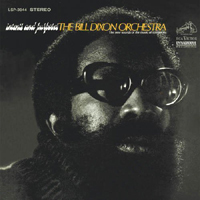 Bill Dixon came to prominence organizing the 1964 October Revolution in Jazz, while simultaneously co-founding the Jazz Composers Guild, featuring fellow visionaries like Paul Bley, Sun Ra, and Archie Shepp. 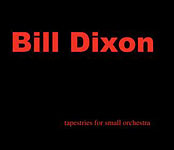 Despite his seminal beginnings, Dixon's discography has been sporadic, due to his lengthy professorship at Bennington College (1968-1996), which limited his touring and recording. 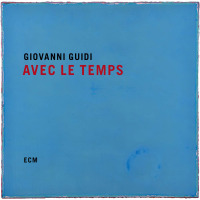 Retiring in 1996 to run independent workshops and master classes, he recently received the 2007 Vision Festival Lifetime Recognition award, raising his profile after years of relative obscurity. Starting out in the early 1990s as a straight-ahead hard-bopper, Rob Mazurek has undergone a stunning transformation, emerging as one of today's most creative artists, boldly fusing sound and vision into new hybrids, as documented on last years kaleidoscopic performance DVD, Chronicle (Delmark). 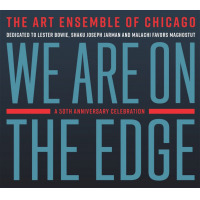 After meeting at the Guelph International Jazz Festival in Ontario, Canada in 2006, Dixon and Mazurek decided to collaborate on large scale pieces featuring Mazurek's all-star Chicago-based Exploding Star Orchestra. 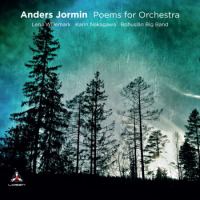 Epic in scope, the album unfolds gradually, featuring two variations on a long-form composition from Dixon and a single extended piece from Mazurek. This expansive studio recording blends the driving assault of counter-weaving harmonies and propulsive cross-rhythms featured on the Orchestra's debut, We Are All From Somewhere Else (Thrill Jockey, 2007), with their newfound role as monolithic sound generators for Dixon's cryptic meditations on sound and space. 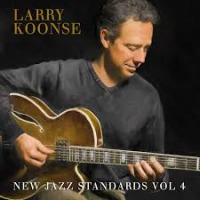 Looser and more dynamic than their previous effort, the session vacillates from dense chromaticism to ethereal pointillism. Dixon's two variations progress with an almost glacial severity, slowly intensifying before steadily undulating and drifting into the ether. 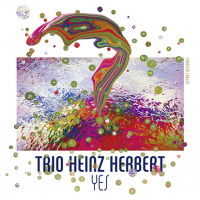 Balancing brief individual statements with collective improvisation, the compositions largely eschew extended solos, favoring nuanced segments that highlight the myriad electro-acoustic timbres of the Orchestra. Mazurek's ode to Dixon is a virtual concerto for the elder statesman. Opening with a spoken word intro from Damon Locks, the Orchestra erupts into a brief, roiling fanfare before navigating hushed aleatoric passages and rich veins of minimalist melody punctuated by churning tribal rhythms and fervent ensemble charts. Dixon's singular voice emerges as a beacon throughout, unfurling a languid series of spectral, brassy glisses, acerbic whinnies and low gutteral moans, delivered with his distinctively raspy timbre and breathy attack. 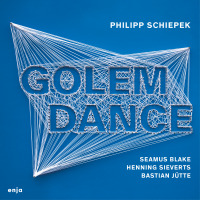 Exploring the many permutations offered by the Orchestra, Dixon veers from plangent lyricism to textural abstraction and beyond. 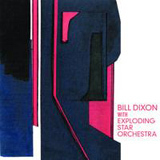 A rare but welcome addition to Dixon's discography and a highpoint in the budding career of Mazurek, the powerful and multi-layered Bill Dixon with Exploding Star Orchestra is a classic that will be studied for years to come. Track Listing: Entrances/One; Constellations For Innerlight Projections (For Bill Dixon); Entrances/Two. Personnel: Bill Dixon: trumpet, composer; Rob Mazurek: cornet, composer; Nicole Mitchell: flute; Matt Bauder: bass clarinet, tenor saxophone; Jeb Bishop: trombone; Josh Berman: cornet; Jeff Parker: guitar; Jim Baker: piano; Jason Adesewicz: vibraphone, tubular bells; Matthew Lux: bass guitar; Jason Ajemian: double-bass; Mike Reed: drums, timpani; John Herndon: drums; Damon Locks: voice (2).